Hope you and your husband have a very Happy Anniversary!! Enjoy your special day. Can't wait to see what you're working on next!! See, that's how I feel about all things Moda! Hope you both have a great day and here's to many more! Happy Anniversary to your and your husband! I love the Cath Kidston's line as well. I am loving that big bag too. We are originally from the East coast and we miss living by the beach as well. Sighing with ya there on that one. Happy Anniversary - enjoy your day with your man. As I'm looking through the great photos I see that I just dressed my ironing board in almost the SAME print as on the photo. I can't believe I picked something that Cath Kidson would pick (well..almost). 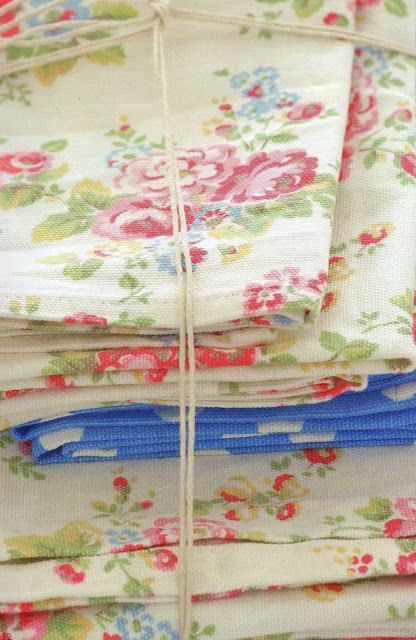 My Cath Kidston catalog is sitting right here and is earmarked on the page with all the dishes. Hilarious! Have a great anniversary. Happy Anniversary. I love all of those pics, especially the first one with the mugs and bowls...I love cute dishes (not that i have any) but i stare at them in the stores all of the time. Oh!!! I want the coffee cups. They look so happy! and, of course...Happy Anniversary!!! Happy Anniversary, love the designer too! Those colors and pics just make one so happy and cheerful! Thank you for sharing. i can't wait to see what you are working on. Oh dear don't encourage me. Today while I was at 7-11 buying some milk I caught sight of the new Cath Kidston catalogue. It came with a free tote bag but the whole thing was $13 so I didn't get it ... now you are making me wish I had. Her new things are just gorgeous!! I am crushing with you. Happy Anniversary tomorrow! I've gotta go order cath's new catalogue so I can drool over more pics. Someday I plan to get to the store in NYC & then lookout, there will be inventory left! Lol...I meant NO inventory left..you got me so excited with your pics I can't type! After reading your post...I need a Cath Kidston catalogue ASAP!!! Happy Anniversary, too! Lovely! I need to start an idea book! Have a wonderful weekend! Happy 11 years. 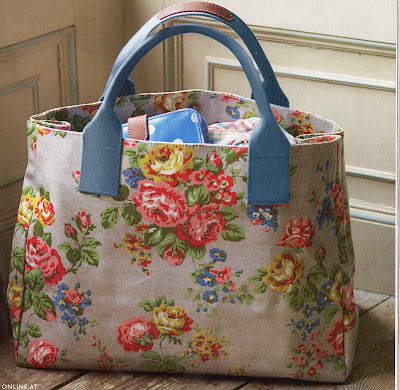 Oh I've been so obsessed with Cath Kidston right now! Happy Anniversery! I LOVE that top picture of the mugs! Happy anniversary! Looking forward to see what you're working on!! Love your ironing board. Happy anniversary to you! Thanks for introducing me to the beauty that is Cath. I had no idea. I always have WAY more projects running around in my head than I have time to work on...and generally about 100 half-finished actual projects going on, too! Such awesome inspiration. Those colors and patterns are so yummy. Hope you have a great weekend. Please tell me that you actually have those cups and bowls? I just love them. 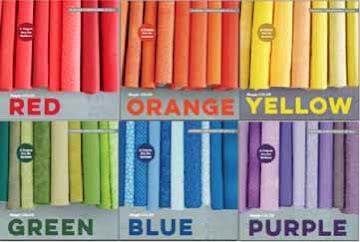 They would be an inspirations for a quilt. Great blog as usual and tell me where I can get those cups? Beautiful! 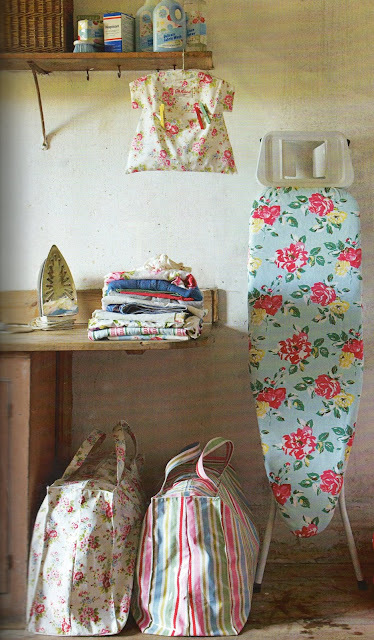 Another blogger who I read regularly is also a Cath Kidston addict. You really MUST see for yourself! 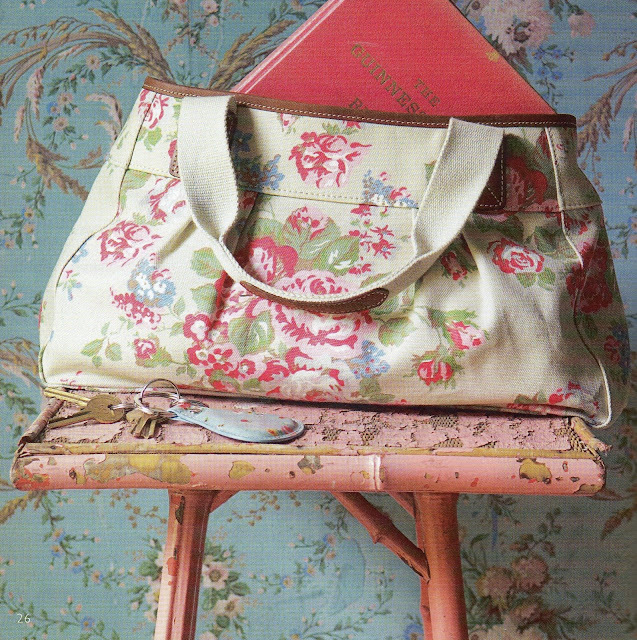 I adore Cath Kidston. I once even went in a Cath store (squeal!) but was VERY disciplined about not buying anything because with the exchange rate, fabric alone was $40 a yard!! So I stick to the pictures. They make me swoon. Love that you posted some I haven't seen. Yummmm. Beach bag? That's the size I need for my diaper bag these days!! I forgot how much stuff you have to tote around! And happy anniversary!! Have a good weekend!! Yea!! Welcome to the Cath Kidson world! I've been a big fan of her's for years. She's really big in Japan too. 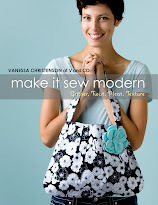 Everytime I get a catalog, I'm so tempted to order things, but it kills me to think about paying so much in shipping. Her design is so cheerful and fun. Just popped over from Posy...saw Cath being mentioned so popped to see what it was all about! Happy Aniversary to you and hubby! I love all the pics, wish I was "independantly wealthy"...big sigh..I would have No self control. congrats on 11 years!!! those are some pretty, inspiring photos!